It is a simple standard to aid surgical planning, which consists of inscribing the face within a 50° triangle with its apex on the tragus and its base between the nasion and the pogonion. The triangle is then divided into two equal parts by the bisecting line through the subnasale. What is "Fan Cephalometry" used for? It is used to evaluate the ratio between the central and the lower parts of the face in order to obtain immediate data on the position of the jaw, the maxilla and the correct nose proportion. Why is Cephalometry of value in aesthetic rhinoplasty? Because it provides indications regarding the exact quantity of tissue to remove or add. Does a "Precision Rhinoplasty" technique exist? 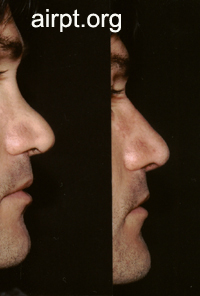 "Precision Rhinoplasty" is not a synonym for an absolutely predictable result, except in cases that require the removal of very small amounts of tissue. Who first identified cephalometric planes? During the Renaissance a true geometry of beauty was developed, following the rule of three and inspired by Euclid. Leonardo da Vinci first translated the ratios between physiognomic regions into intersecting lines. What is the "Fan Ruler"? To make surgical planning quicker and easier, I have created a ruler consisting of three slats that reach the nasion, subnasale and pogonion, dividing the profile into two triangles with the apex on the tragus. Two slide bars run along the tragus-nasion and the tragus- subnasale, pointing to the future nasofrontal grove, the dorsum and tip projection, the nasolabial angle and the location of the chin. The Fan Ruler makes instant cephalometry possible. Where can I find more detailed information about "Fan Cephalometry"? 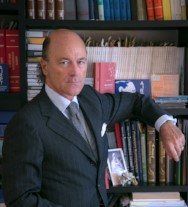 In "Cephalometric Analysis and Postoperative Results in Aesthetic Rhinoplasty".